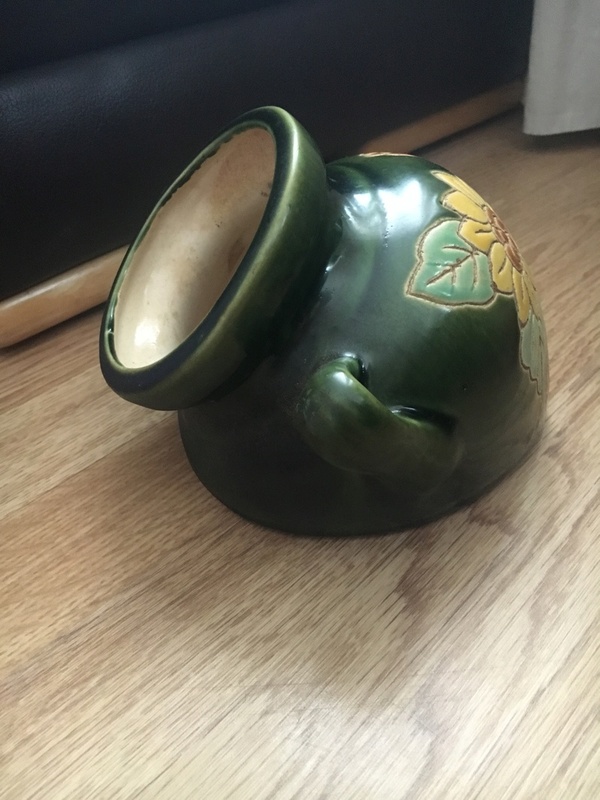 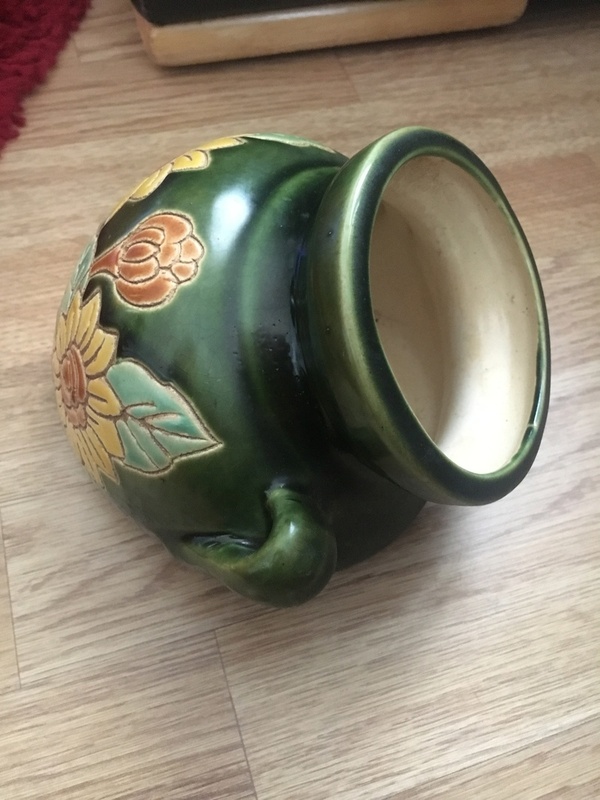 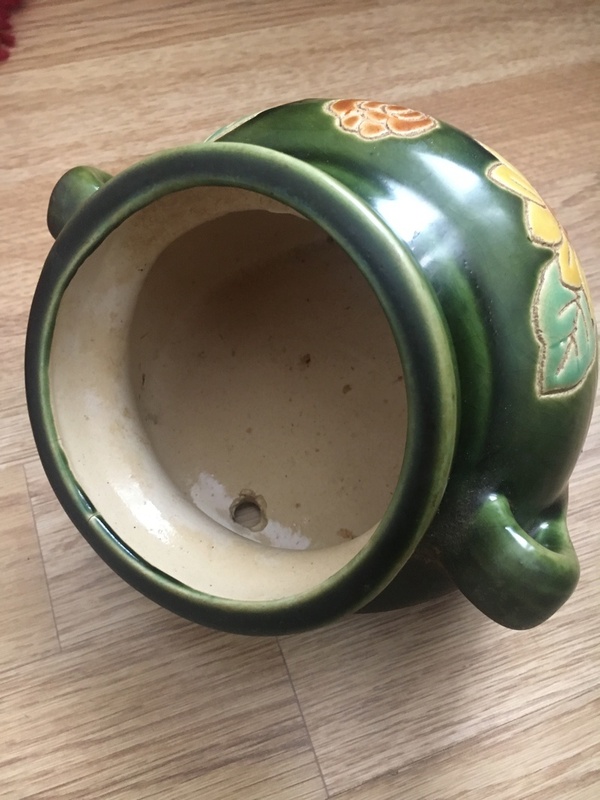 It’s a pottery wall pocket planter in green. 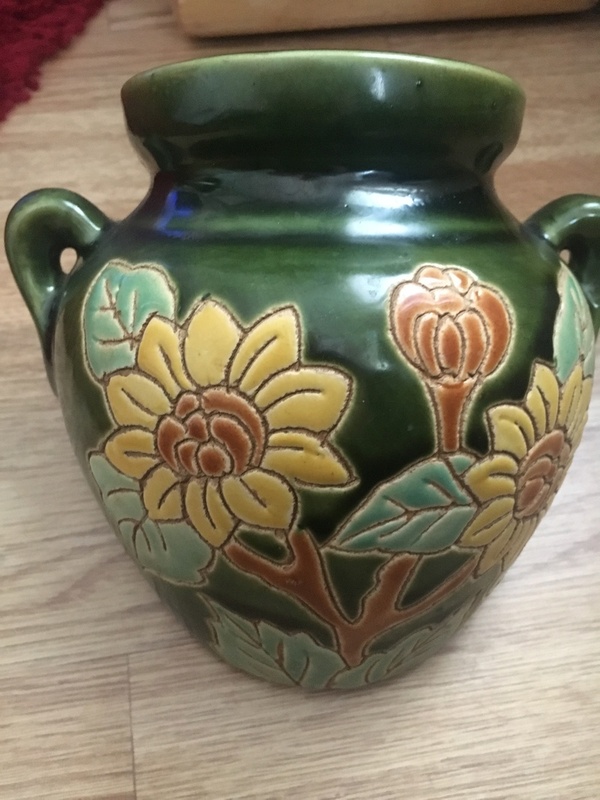 It has raised sunflowers painted on. 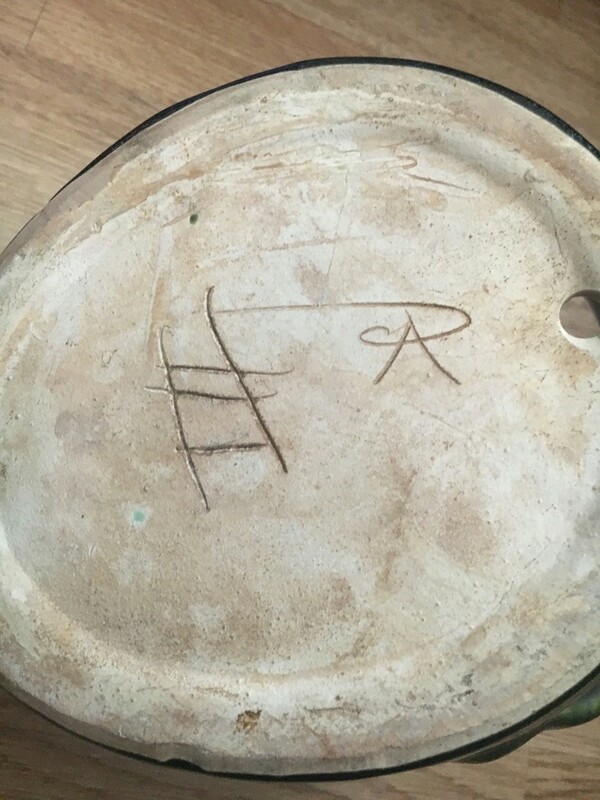 The makers mark appears to be AP with 5 lines. 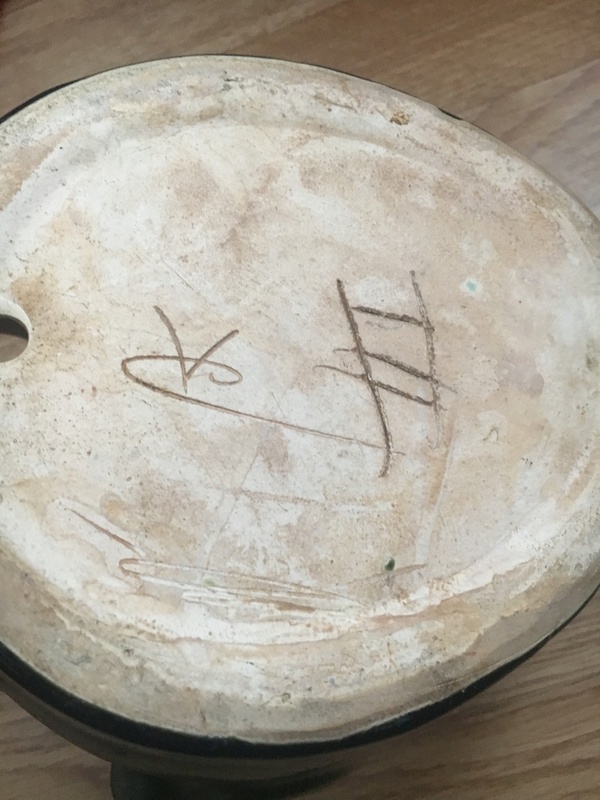 I’ve looked everywhere and come up a blank.